2013 LAMMY for Best Classic Film Blog! 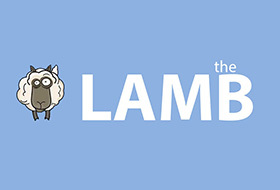 #LAMMY2012 Winner – Best Classic Film Blog! Coming at you twice a day until the winner of the Best Blog award is unveiled Monday, June 20th, it’s time to announce the 2011 LAMMY Award Winners ! To see the previous award winners, click here. This winner, along with The Dark of the Matinee’s win for Festival Coverage, scored the second highest number of votes in this year’s LAMMYs.